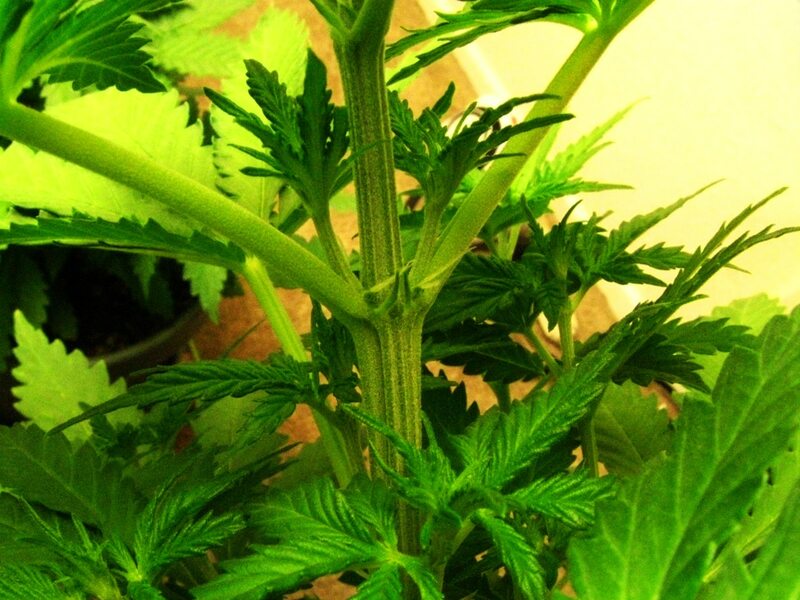 Is my cannabis plant male or female? 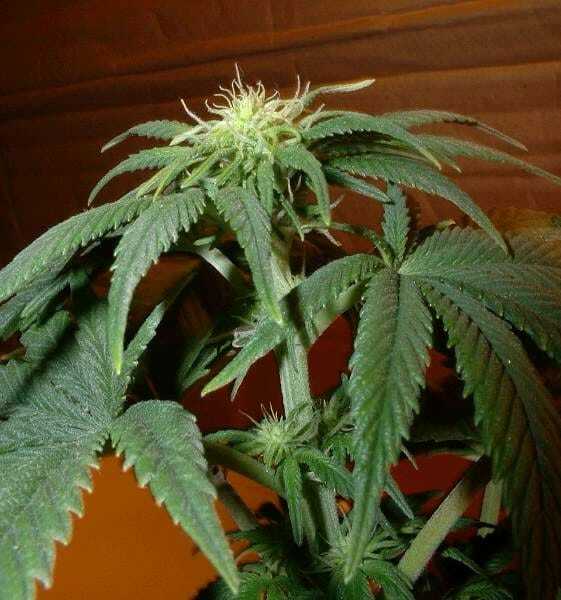 If you start with a female clone or feminized seeds, you don't need to worry about male plants. 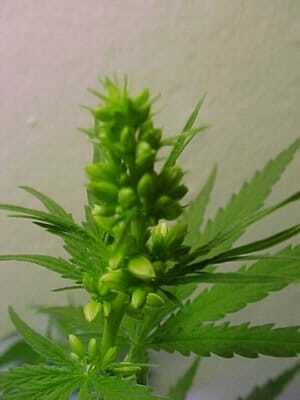 However, if you've just found seeds, or purchased unfeminized seeds, about half of the resulting plants will be male. 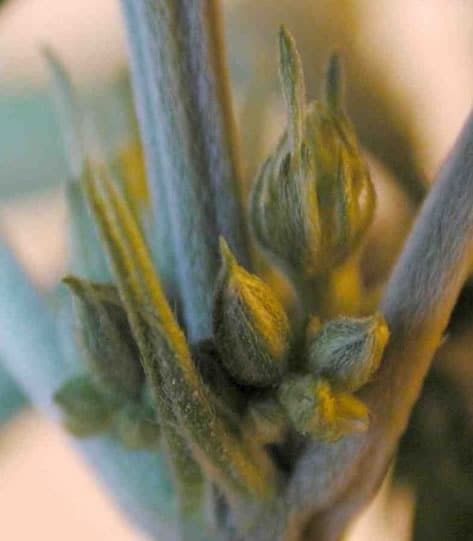 Male plants generally show the first signs of pollen sacs 1-2 weeks before the female plant shows it's first signs of white hairs. A vigilant grower can carefully watch their plants and remove males when they develop the first signs of pollen sacs. However, you may want to be more proactive and get rid of the male plants before they enter the flowering stage so you don't have to waste the time and energy in caring for plants that you will eventually get rid of. If so, then you can use to following technique to identify and remove all the males from your grow. You can wait until your plants naturally show the first signs of their gender and then remove all the males, but that means you have to watch the plants closely the whole time. You also will waste time and energy growing plants only to find out that some or all are male and have to throw them away. If you want to be more proactive and get rid of all male plants right away, then use this technique. Label both the clone and the mother plant so you know which clone came from which corresponding mother. If you don't label them clearly, then all your effort will go to waste! The clones should start revealing their gender in a week or two. Males will start developing balls and females will start developing white hairs. Click on the pictures below to see some examples of male and female plants. Once you have determined the gender of your clones, you should make sure you throw away any corresponding male plants. Take me to more pictures and information about male and female cannabis plants! 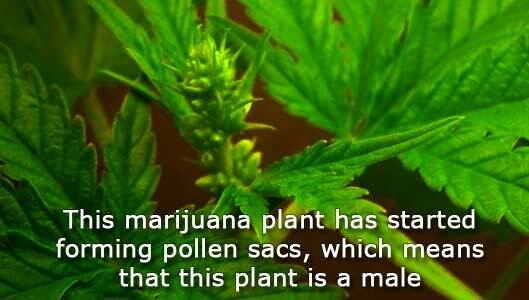 Male plants have grape-like balls which form and fill with pollen. The balls will first show up a week or two after changing the plants over to flowering. 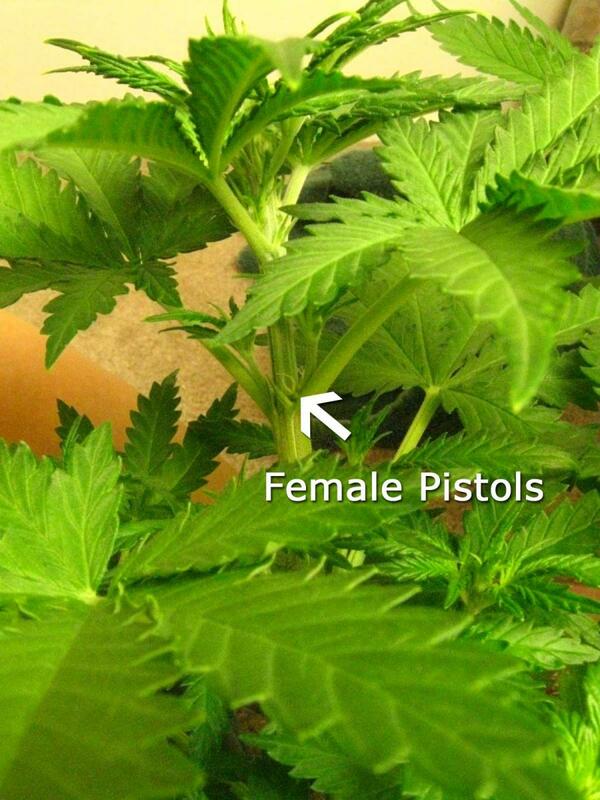 Female marijuana plants take a bit longer than males to show their first signs after being changed over to flowering. 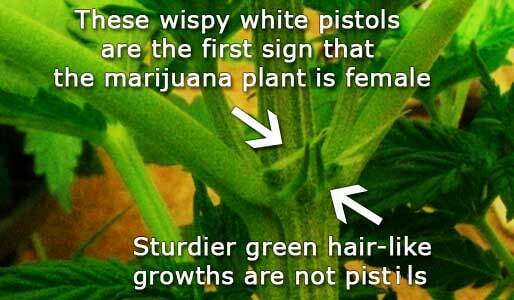 Female marijuana plants start showing one or two wispy white white hairs where their buds are going to start forming. They usually first show up where the main stem connects to the individual nodes or 'branches'. 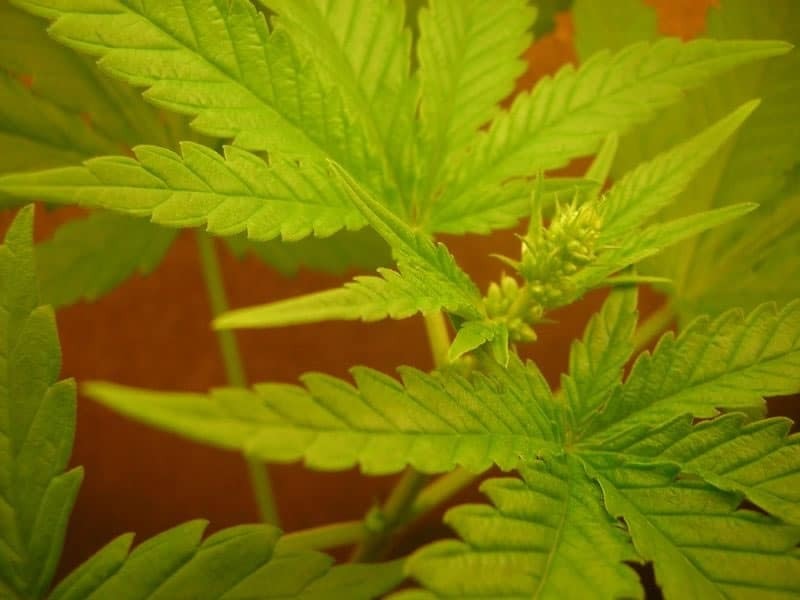 If a female plant is kept in the vegetative stage long enough (the length of time varies depending on the strain and conditions), then she will start showing the first sign of female hairs even before you move the plant into the flowering stage by changing the light schedule. If you see wispy white hairs appearing on your plant like the ones pictured below, then you know you have a female plant.